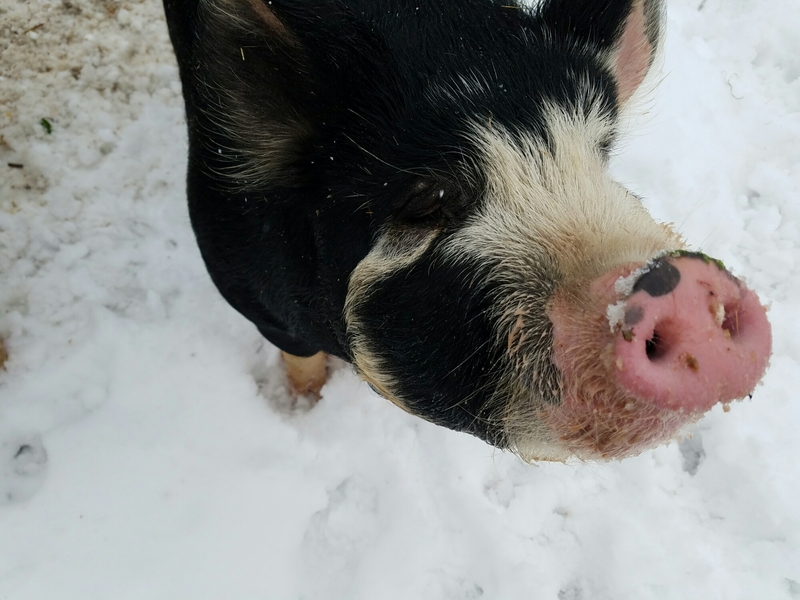 December has come to an end and as we prepare for butchering day for our 3 pigs, I have really enjoyed the pigs around the farm and the journey we have taken. 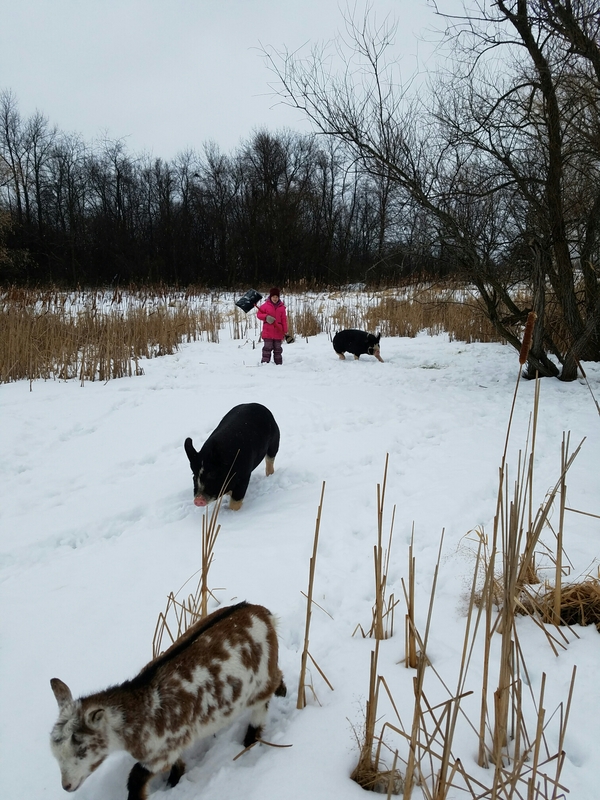 Over the last couple of weeks we have learned how much the pigs enjoy free ranging. 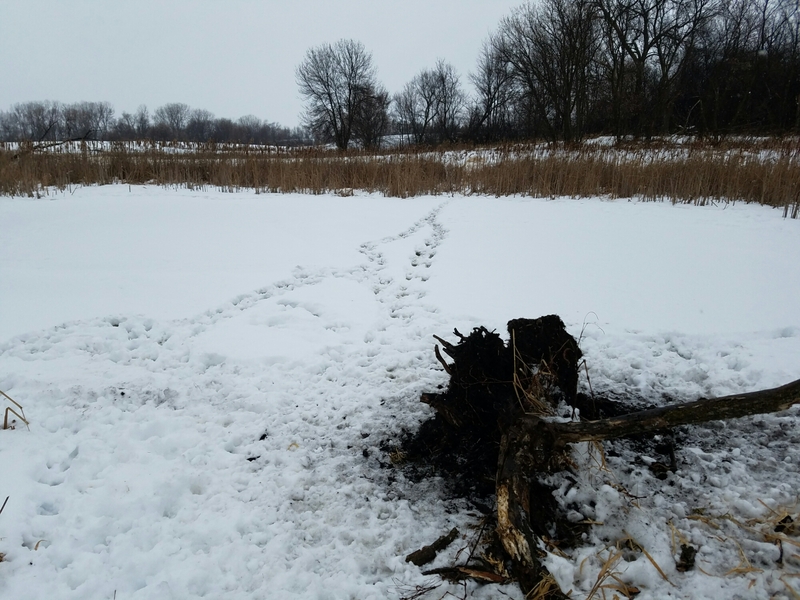 With snow on the ground you can follow their tracks. I was super surprised to see how smart they are by staying safe around the pond and to know when to cross the pond. 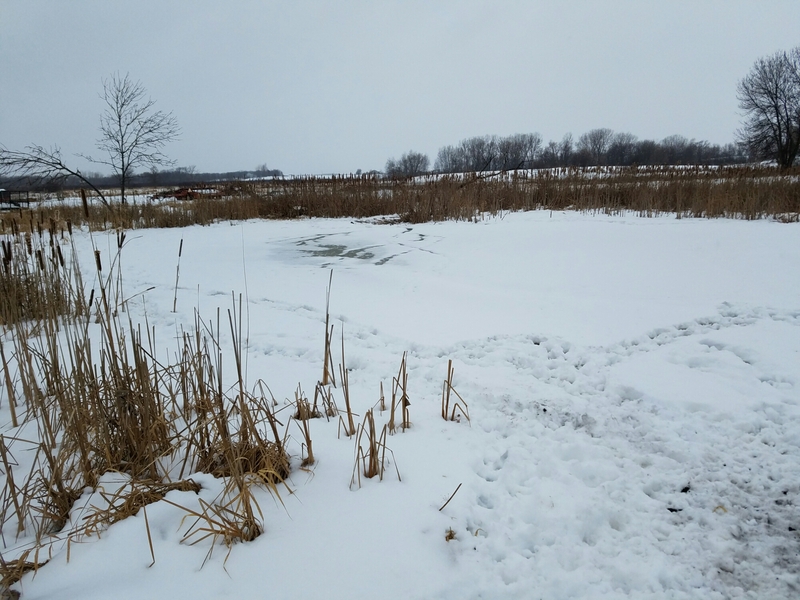 Sadie went out to shovel the pond to ice skate and we were surprised to see the pigs had already been on the frozen pond. 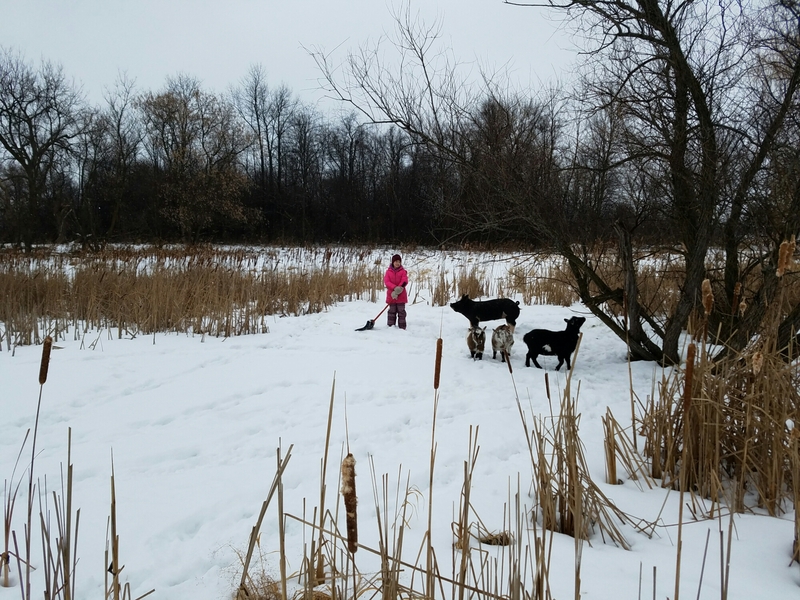 The pigs had been rooting up the cattails and old trees. They also used the trees for a scratching post. As you can tell from the photos we had the goats as well. 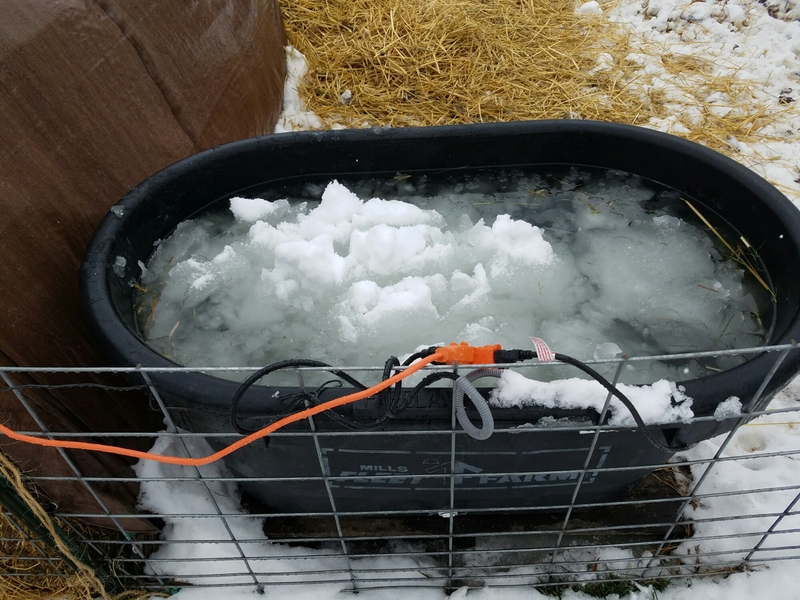 We have also finally figured out a workable water system for Minnesota for the pigs. I have settled on a stock tank with 2 heaters- one for the main tank and one for the pig shoot. The other logistical issue was filling the tank in the middle of winter. Carrying buckets of warm water is not fun. 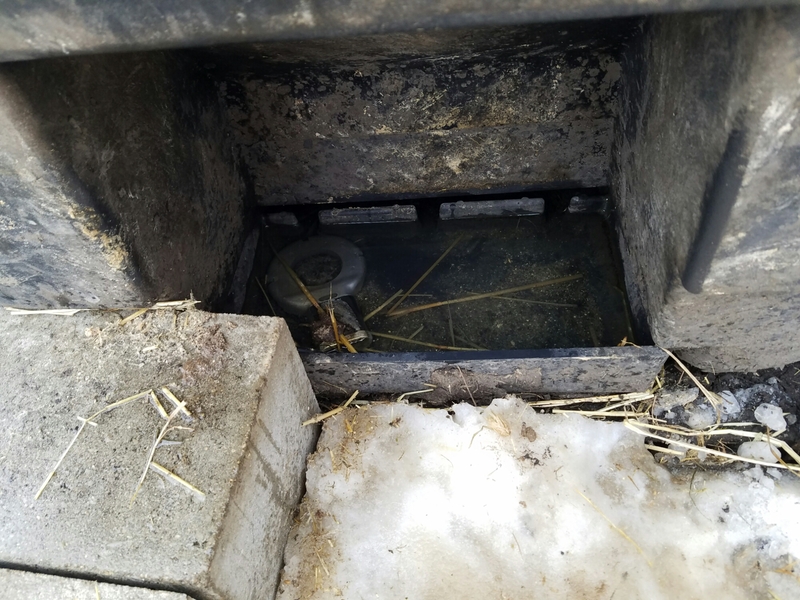 We figured out that is is easier to shovel snow into the tank and let it melt. So far so good. 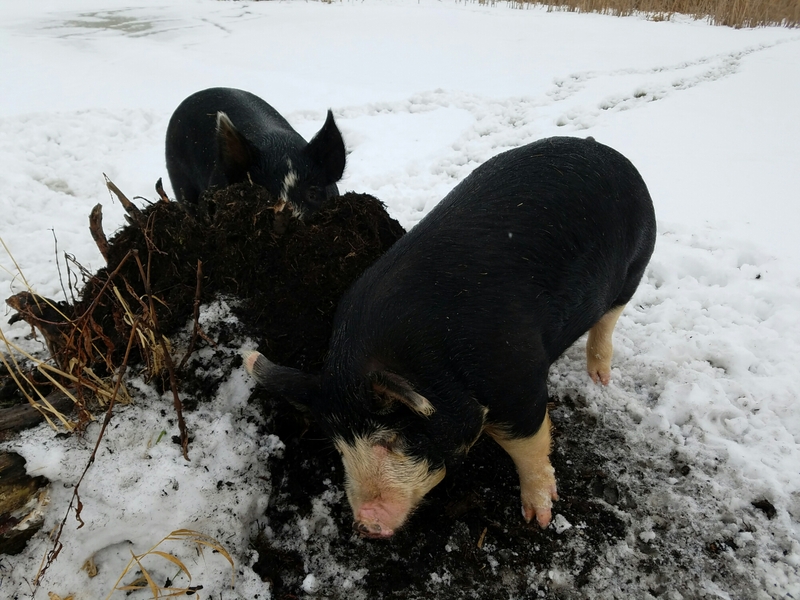 The last pieces is now that the mud is frozen the water trough is too low and the pigs have to kneel down to get a drink. Once the temps. Warm up I will be raising the tank on cinder blocks. 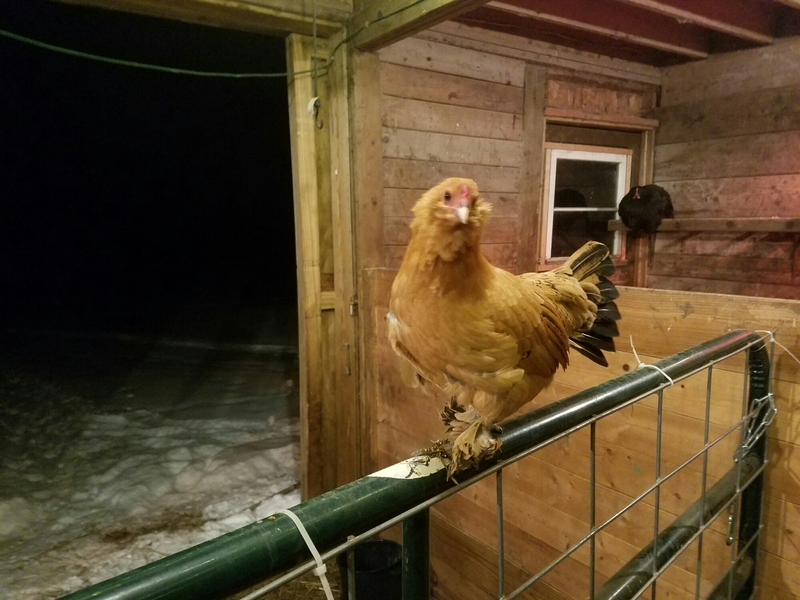 The flock is doing well and I am waiting to see how my last set of young chickens will do. 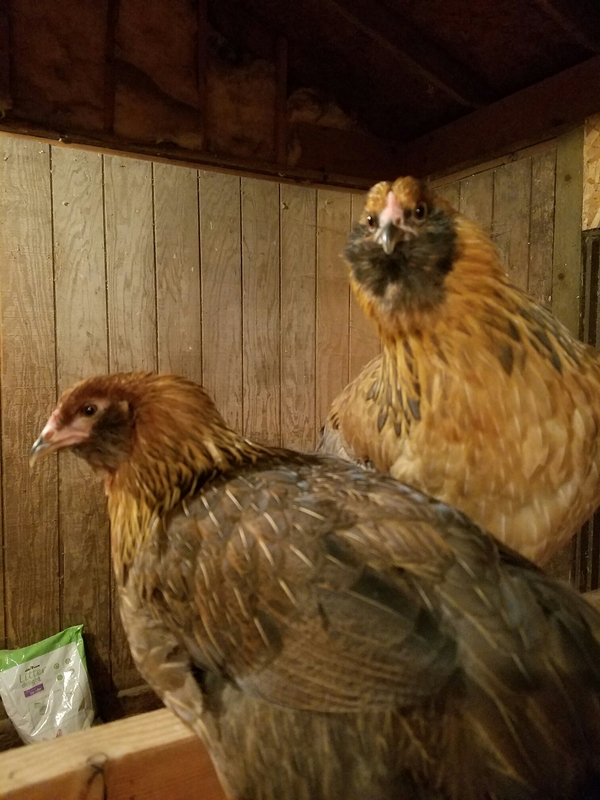 I am still deciding on the two Rhode Island red roosters. 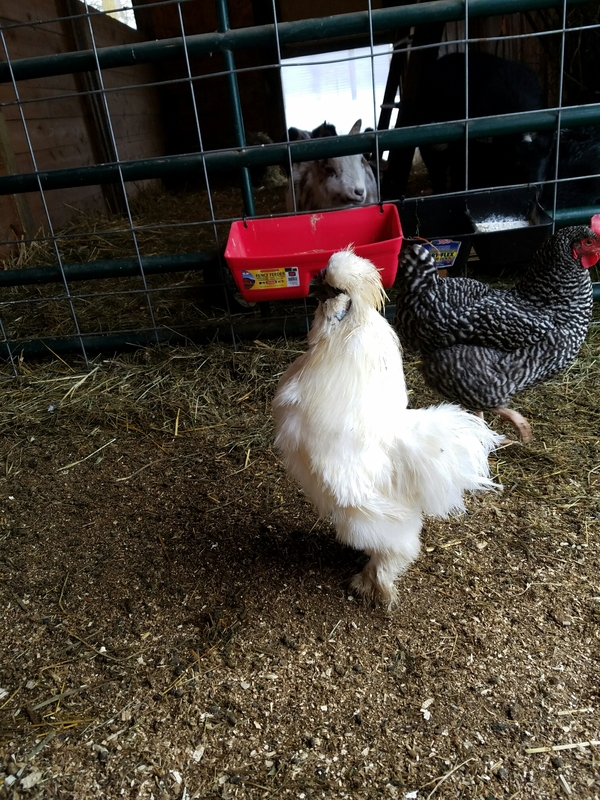 They are now crowing and taking on rooster characteristics. 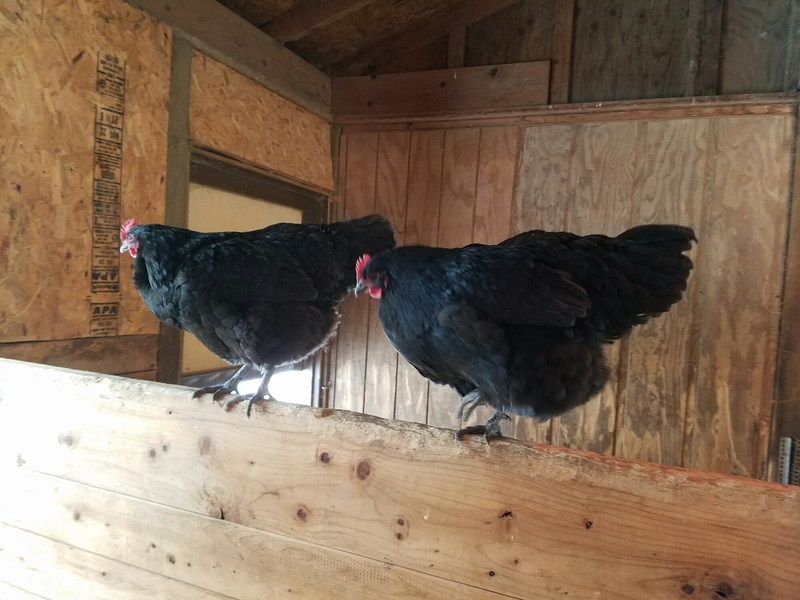 The other day one of them were sitting on the edge of the dresser guarding for one of the hens as she was laying her egg. I am getting approx. 5-6 eggs a day. Not exactly sure how the idea began to take shape but I am expanding the farm into raising quail. After doing some research they are smaller birds but consistently lay eggs year round. I also have the space to create a natural habitat for them. 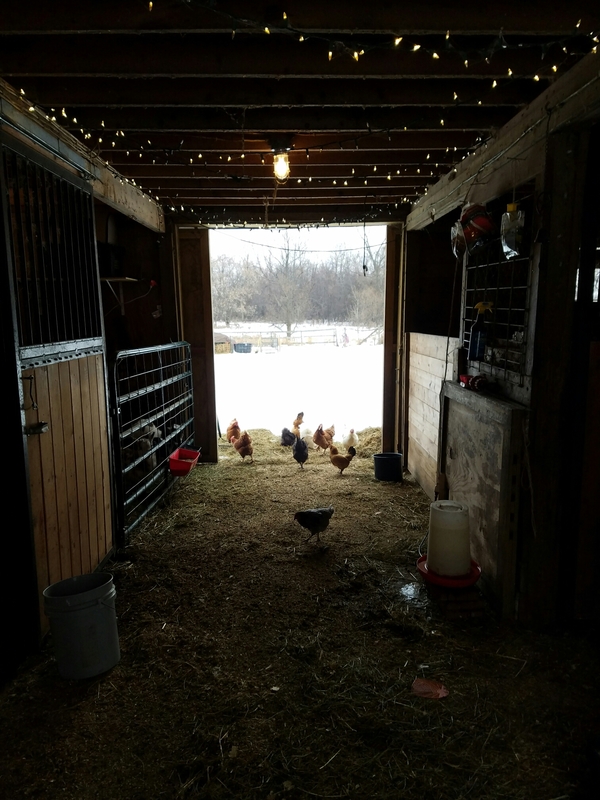 I admit I really struggle with seeing “farmers” raise animals in cages that is more about saving space and less about the care of the animals.